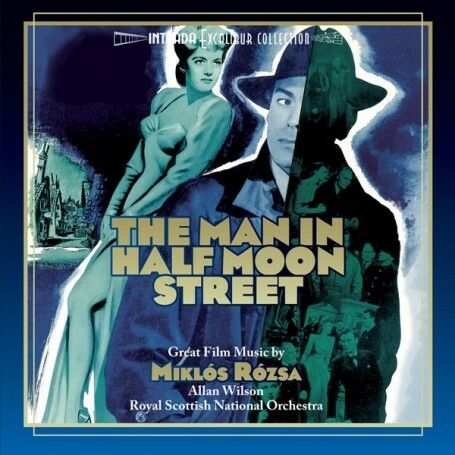 World premiere recordings of film music by Miklos Rozsa, unofficially becoming a "Volume 4" of his famed Polydor recordings from the seventies, highlighted by lengthy suite from The Man In Half Moon Street, a moody - and rare - 1945 horror/supernatural/film noir meld directed by Ralph Murphy, starring Nils Asther. 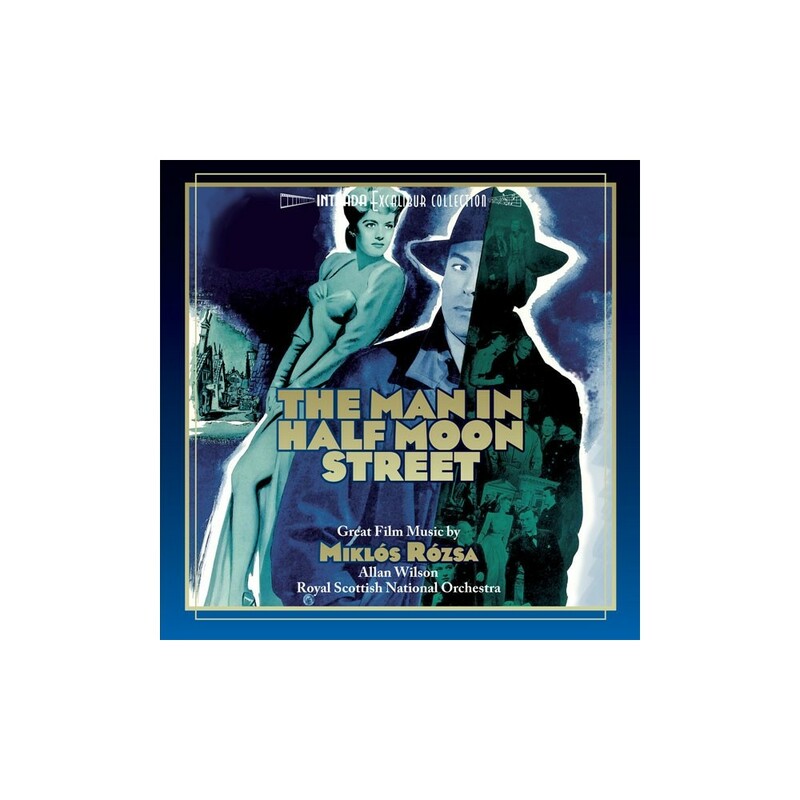 Rozsa surrounds his music with dark, mysterious and dangerous ideas rooted in his signature film noir vernacular of the era. 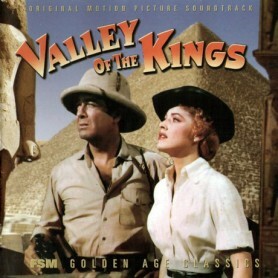 CD also offers premiere recording of the "Overture" to Valley Of The Kings (1954), Rozsa's own special arrangement with a newly composed coda, actually intended for fourth Polydor recording that never came to be. Sinewy lines, colorful harmonies and swirling figures abound. Also featured is premiere recording of rare 1942 documentary score Jacare aka "Killer Of The Amazon", directed by Charles Ford and filmed in Brazil. Picture chronicles travels of two men up the Amazon in search of rare animals for zoos. Rozsa offers rich, colorful music in style of his more familiar score for Rudyard Kipling's Jungle Book from that same year. 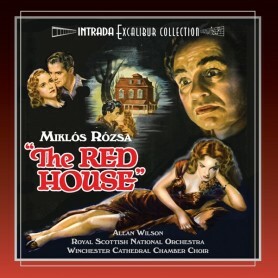 Generous suite from Strange Love Of Martha Ivers finds Rozsa scoring both in darkly gothic manner and richly expressive melodic mode for this classic Lewis Milestone film noir from 1946, starring Barbara Stanwyck, Van Heflin and "introducing" Kirk Douglas. Rounding out CD is premiere recording of seven-minute suite from Zoltan Korda 1943 war film Sahara with Humphrey Bogart. 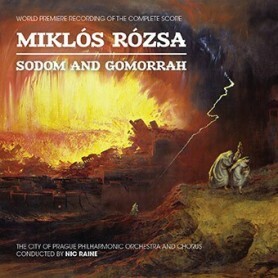 Dynamic, previously unrecorded sequence includes not only prelude to score but powerful finale as well, bringing CD of rarities to resounding finish! Allan Wilson conducts Royal Scottish National Orchestra. Latest release in Intrada "Excalibur Collection" of great film music!